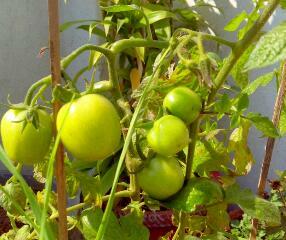 The tomatoes are ripening slowly. First picture is of little green tomatoes in my kitchen garden is three days old. 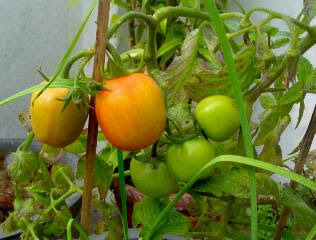 The next picture was taken today which shows that one tomato shall be fully ripe and red by the evening.